Tonight in Sweden, Melodifestivalen 2019 continued with the second semi-final live from Malmö. Tonight’s qualifiers will join Wiktoria and Mohombi in the final. 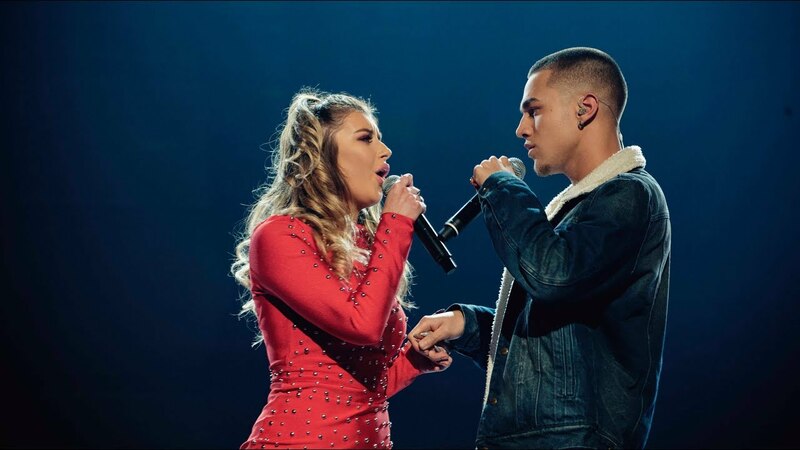 The line-up is composed of many former Melodifestivalen participants such as LIAMOO (2018), Andreas Johnson (2006, 2007, 2008, 2010, 2012, 2015), Margaret (2018), and Oscar Enestad, who competed in 2017 as part of FO&O. This years contest is has four hosts: Eric Saade, Sarah-Dawn Finer, Kodojo Akolor and Marika Carlsson. The winner of the contest will represent Sweden in Eurovision in Tel Aviv in May. They will succeed Benjamin Ingrosso with Dance You Off, who finished in 7th place in the 2018 contest in Lisbon. The producer of Melodifestivalen 2019, Christer Bjorkman, is reported to have said that he thinks at least four of the competing entries this year are capable of reaching the top 5 in Eurovision. Sweden debuted in the Eurovision Song Contest in 1958 and has gone on to be one of the contest’s most successful countries. The country has won the contest six times, the most recent being in 2015. Sweden’s first victory came in 1974 when ABBA won the contest in Brighton with “Waterloo”. Since missing out on the final in 2010, Sweden has gone on to finish 3rd twice and has won the contest twice, only in 2013 did the country place outside of the top 10 in the final. Australia, Eurovision 2019, National SelectionAustralia: "It’s a win for out of the box brilliance"